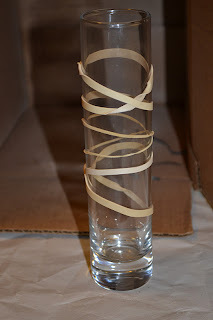 All over Pinterest is the simple idea of wrapping rubber bands around a vase and spray painting it. 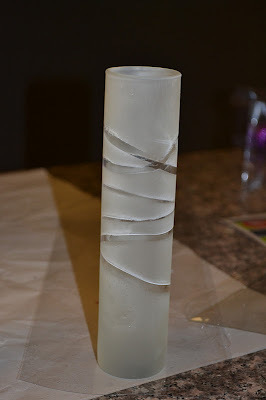 This is supposed to create a unique, modern vase. I thought this would be a a great handmade gift for Christmas presents. I gathered the necessary supplies and set to work. 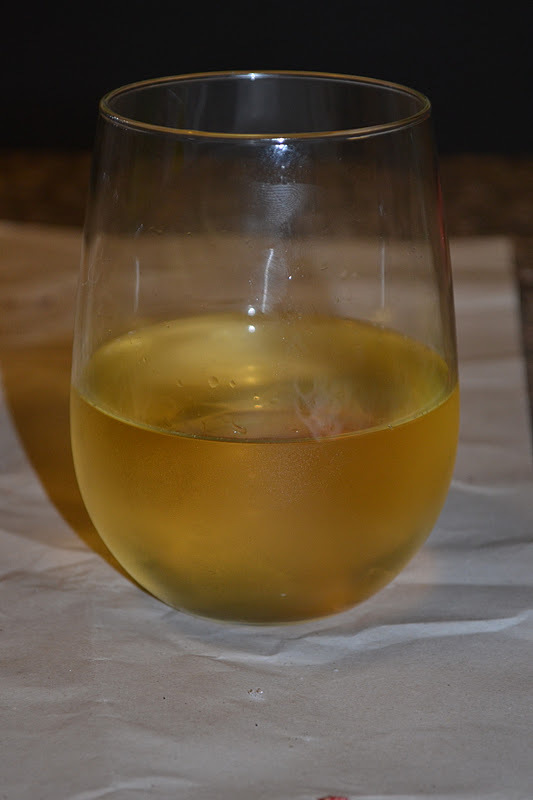 It’s very important to have a glass of wine while crafting. It makes the process much better. 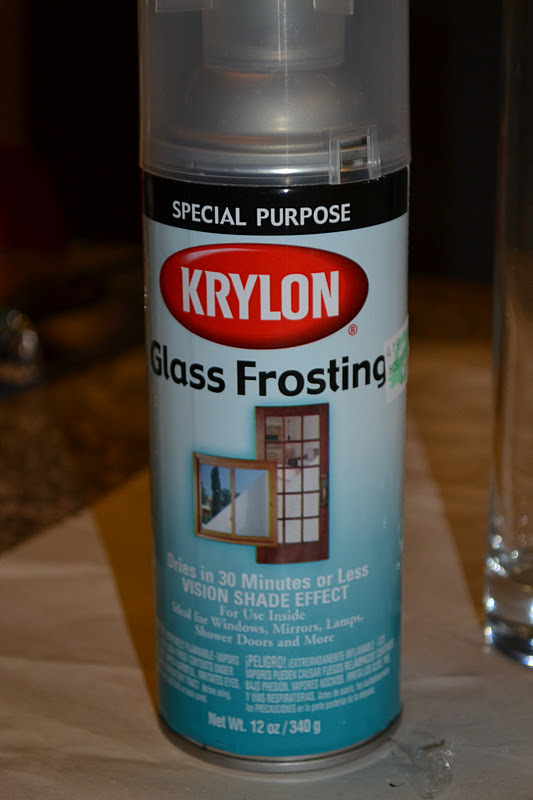 I chose glass frosting spray paint rather than a color so that it could match any decor. The rubber bands I purchased turned out to be the big, wide bands, which worried me a little. I then searched my home for smaller bands, and I found these tiny hair ties. I decided to give it a try. Since I have been and will be doing so much spray painting, I decided to begin using a cardboard box for all my spray painting needs. Almost immediately after I began spraying, the black rubber bands melted off. I tried to cover the lines they left with more paint, but it really just made it look messy. So the next time around I knew I needed to use the big ones. Even though I was not thrilled with winding the band around twice, creating that twist, I did it anyway. I really did not like the way it turned out. 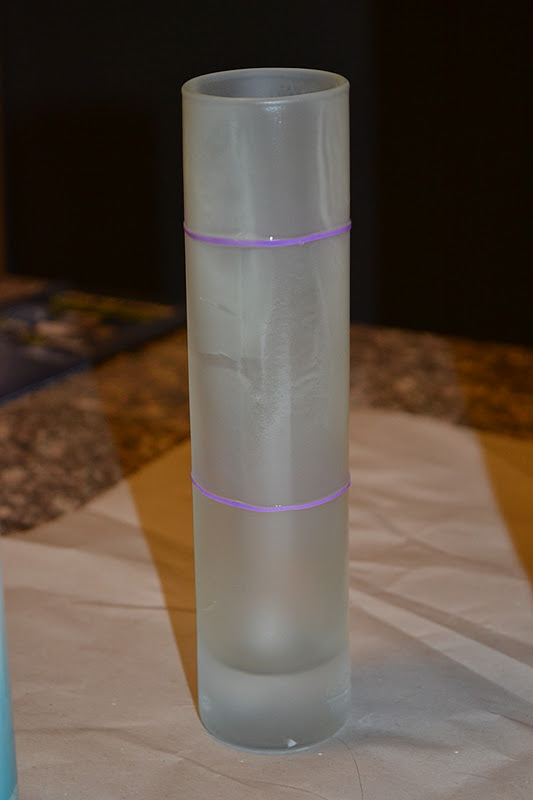 I thought I was using too much spray paint, so I practiced spraying a vase without any rubber bands. 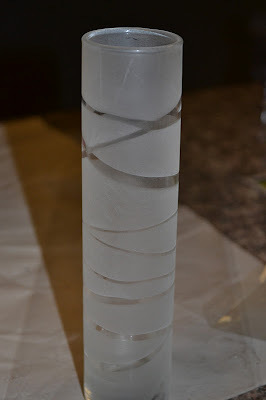 Plus it would create diversity among the group of vases. Once I got the hang of it, I did the big rubber bands again. 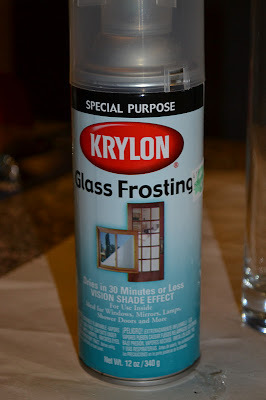 When using glass frosting spray paint all you need is a light, quick spray and it will look great. 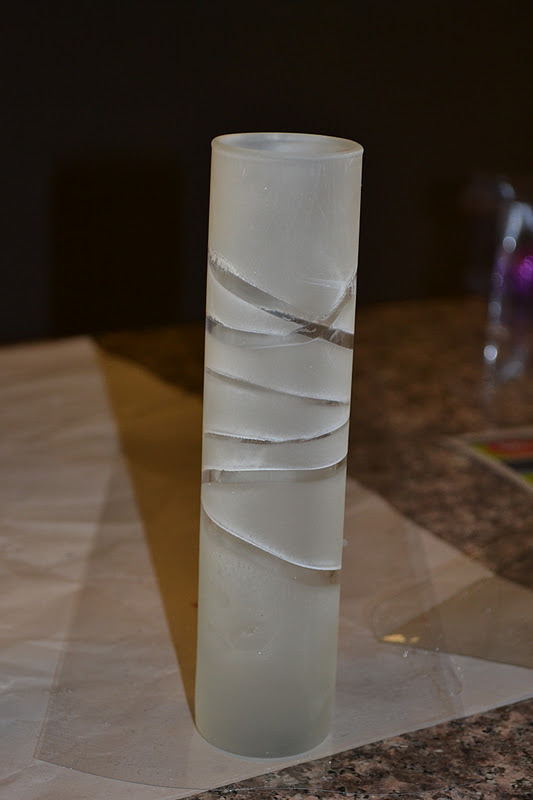 Here is the outcome of all 4 vases. The left two showcase what too much spraying looks like. 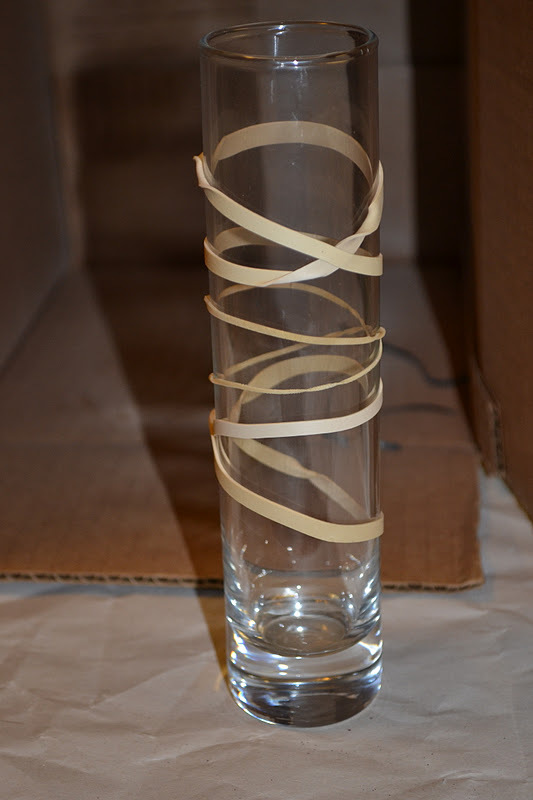 I’m pleased with the last rubber banded vase - but now that I know what I’m doing, I think I might buy a few bigger vases and give it another try. I'd love to hear from you if you decide to give this craft a try. You can follow me on twitter @kissmysmash. The facebook page for Kiss My Smash is coming soon!